Here Are Some of Our Favourite Beautiful Cities in Spain! Spain. It’s warm, it’s nice, it’s cultural, and it’s historical. What’s not to like? While so many tourists visit Spain each year, the country continues to draw people back again and again. Whether you’re spending your time in the north enjoying the wine regions or wandering the south of Spain lounging on beaches, Spain has something for everyone. It’s no secret how much Lisa loves Spain. Having lived in Bilbao for a few months, she used her time effectively to explore the entire country. Eric’s only taste of Spain is, of course, Barcelona on a Europe Trip with friends. However, he’s been dying to go back to explore more of the country. Currently, Lisa is trying to convince Eric to commit to an epic Spanish road trip itinerary. Eric is certainly not arguing with that! In preparation for when we adventure into Spain for the first time together, here’s a quick guide to some of the most beautiful cities Spain has to offer. Consider it “light reading” for your next trip to Spain! Donostia is the Basque name for San Sebastian. While it’s a smaller city in the north of Spain, this amazing city close to the French border has approximately 186,000 inhabitants! San Sebastian is well-known for its food culture – you’ll have to try pintxos when you’re there. Although it’s one of the most expensive cities in Spain, it’s worth checking out because it is stunning. For the beach goers, the beach is super close to the city center and a great place to try out some surfing. 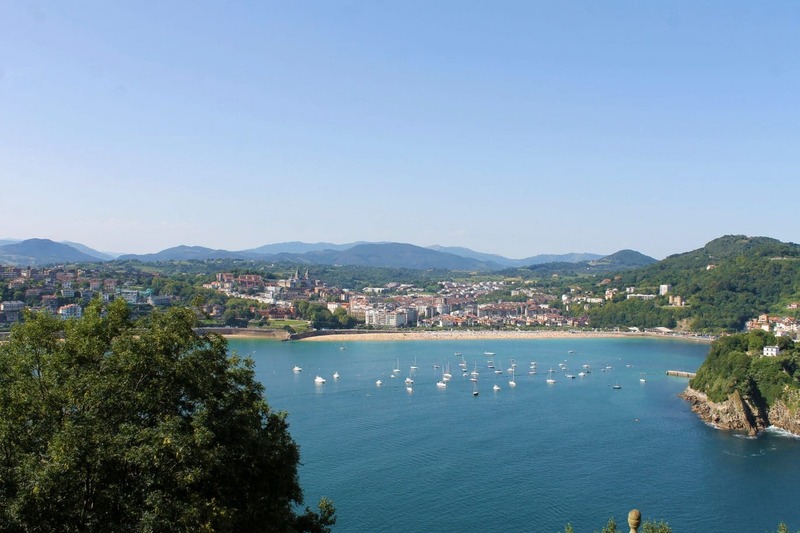 Some of the other things you should do in San Sebastian is walk along the Concha Bay (one of the most beautiful beaches in Europe), walk through the old town, and hike up Mount Urgull to get a great view of the city and see the statue of Jesus. For the non-religious, the hike and the view are worth it! Lisa spent her exchange semester here and really enjoyed living in the city. The city’s main attraction is the Guggenheim Museum which is worth visiting as it has deeply shaped the city’s development. We included it as one of the top things to do in Bilbao! If you’re looking for things to do, you should try the pintxos and walk through the old town and/or along the river. If you get the chance, try to visit at the end of August when there is a week-long celebration called Semana Grande (Big Week) happening every night. Be sure to take in some of the many beaches close by which are easily accessible by public transport. Don’t forget to take the funicular up Artxanda Mountain and enjoy a beautiful sunset! Discover More of Spain – Here are 17 Attractions in Spain Worth Visiting! Burgos is a city in Northern Spain which you can find on the way from Bilbao to Madrid. Fun fact: Burgos was once the capital of the Castile region. Lisa went here on a day trip from Bilbao with friends and can recommend the city! The cathedral of Burgos is stunning and you should definitely check it out (it has been declared a UNESCO World Heritage Site in 1984). Burgos is full of history and as such attracts people who want to learn more about the Spanish history, especially since it was the home of Spanish “hero” El Cid (who was a Castillian nobleman, military leader and diplomat). Lisa visited the Museum of Human Evolution and thought that it was very interesting. Oh, and apparently the city is known for its blood sausages. Oh, Barcelona. What is there to say about this wonderful place? Lisa has been to Barcelona and can only recommend that you try to go while it is not the busy tourist season. In fact, she recommends just avoiding it all together if you can during the busy seasons. Eric has been to Barcelona just before the busy season began so he had a great time. So, what should you do? Of course, you should visit the Sagrada Familia (it is beautiful from the inside), take a long walk through Park Güell, and also visit the Mercat de la Boqueria (a food market where you can try all kinds of meat, cheeses, and fruit). Walking along the waterfront is never a bad idea, and be sure to take a photo of the Casa Milà and enjoy the hustle and bustle at the Plaza de Catalunya. If you want to learn more, we covered lots of the best places to visit in Barcelona in a longer post! If you want to visit what you see in the photo, then visit the Arc de Triomf when you’re in Barcelona. Barcelona has an amazing nightlife that suits your needs as a backpacker on the go or a couple looking for fun. Friendly Tip: Visit the famous La Rambla but do watch your belongings. Considered one of the most beautiful Spanish cities, Salamanca is about 2 hours northwest of Madrid. It’s one of Lisa’s favourite cities (she really wants to take Eric there). Many of the city’s buildings are constructed from sandstone, which is why it’s often called the “Golden City” – the evening sunlight reflects from the stone. Overall, the beige exteriors also look beautiful in the light from the street lights during the evening. The Plaza Mayor is also beautiful and definitely worth photographing. In fact, it reminded us of the one in Madrid. The University of Salamanca was founded in 1218 which makes it the oldest university in Spain. The city is full of historic architecture, so it is worth your time to just walk through the city and explore (especially the Old Town). Fun Fact: The Old Town was declared a UNESCO World Heritage Site in 1988. If you want to get a nice shot of the cathedral, you should go to the other side of the river when the sun sets. As the capital and largest city in Spain, Madrid is conveniently located in the middle of the country. Lisa has been to Madrid two times and enjoys the city more and more with each visit. We also wrote a complete guide on the best things you should check out in Madrid if you’re interested! Be sure to visit the Puerto del Sol, which is a plaza in the heart of Madrid. It’s one of the busiest places in the city, and it’s here that you’ll also find the “kilometre zero”- a plaque that shows where the measuring for the national highway system begins. Another great plaza to visit is the Plaza Mayor, which is a beautiful square filled with shops and restaurants. Close to the Plaza Mayor you can find the Mercado de San Miguel, an indoor market where you can buy small treats like freshly baked goods, ham, fruit etc. 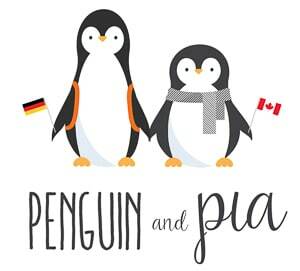 We think it’s worth visiting even if you don’t plan on buying anything! Another must-see is the Palacio Real (Royal Palace) – the official residence of the Spanish king. While it’s only used for official functions, you can go inside as it’s worth it if you’re interested in culture and history. It is, after all, considered one of the most beautiful buildings in the city. When you need a rest from your busy day you should head to Retiro, the main park of Madrid. You can rent a boat on the lake or just sit on the grass under a tree in the shade and relax. If you are interested in museums there are some great museums to choose from: Museo del Prado, Centro de Arte Reina Sofía and Museo Thyssen-Bornemisza (and there are many more). Toledo is a beautiful city approximately one hour southwest of Madrid. Back in the day, it was known as the city of three cultures when Muslims, Christians, and Jews lived peacefully together. The city was declared a UNESCO World Heritage Site in 1986 because of its vast amount of monuments and preserved cultural heritage. Toledo has many churches, palaces, and fortresses to visit but also has mosques and synagogues. Be sure to walk through the Old Town and explore as you go. Since the city is not that big you can explore it by foot no problem. Valencia is the third largest Spanish city after Madrid and Barcelona, sitting pretty on the east coast of Spain. Lisa was lucky enough to have lived there for two weeks when she participated in a language course in High School. As such, she loves the city. There is a huge park in the middle of the city which was built in a dried out river. For things to check out, you should visit the City of Arts and Sciences, and the Barrio del Carmen, which is a beautiful part of the city. It’s a great idea to take in the architecture, such as the cathedral which was built between the 13th and 15th centuries. The Silk Exchange Market (La Llotja de la Seda) has been declared a UNESCO World Heritage Site. The city has many celebrations and traditions because of its rich history so be sure to have a look at the upcoming events beforehand. If you’re hungry, Valencia is often said to be the birthplace of Paella, so be sure to try some while you’re there. You can work off those calories going for a swim – the city beach is only a short ride away by public transport. Located only 4 hours south of Madrid, Córdoba has been declared a UNESCO World Heritage Site because of its mixture of diverse cultures. The city, at different times, been the capital of a Roman province, the capital of an Arab State, and a Caliphate in the past. As such, you should visit the great mosque, considered to be one of the grandest mosques in the western world called Mezquita de Cordoba. You should also walk around the rest of the old town which surrounds the mosque. Finally, visit the Calle de las Flores, a street full of beautiful flowers – which can be seen in the photos above! The capital of Andalucía and fourth largest city in Spain, Seville is only 1.5 hours southwest of Córdoba. Like many Spanish cities, the Old Town has three UNESCO World Heritage Sites: Reales Alcázares Palace, the Cathedral, and the General Archive of the Indies. Seville is usually warmer than in other parts of Spain, and is famous for its flamenco and tapas bars – so be sure to go from bar to bar and try different ones. There are lots of museums, including a flamenco and bullfighting museum if you want to learn more about these Spanish traditions. Another place to visit is the well-preserved Jewish Quarter of Santa Cruz! Granada is just southeast of Seville. The city is home to the palace of Alhambra which you should definitely, definitely visit. It’s recommended below! If you want to see the Alhambra glowing in the sunlight, go to the Mirador de San Nicolás just before sunset. You should take time to just walk through the old town, as you’ll really see/feel the Arabic influence on the city’s architecture. It’s also worth your time to walk through the Muslim Quarter to check out the white houses. You can also do a tour if you want to find out more about the rich history of the city. Friendly Tip: Take a sweater, as the city is usually a little colder than other cities close by such as Malaga! And there you have it – some of the most beautiful cities in Spain! Spain is a country that will continue to offer visitors something to see and do, and we are eager to return to do more exploring! What do you think? Any cities you absolutely love? Did we skip over your favourite one? Let us know in the comments – we’d love to exchange Spanish travel tips! We are in Barcelona now and the crowd is very manageable. We have enjoyed travelling to those cities but also had fun in some of the smaller ones like Talavera de la Reina and Tarragona and Merida. These have some of the best Roman ruins in the country. Thanks so much, Mary! We’re glad you had a great time in Barcelona – January is the perfect time to go 🙂 We’d love to explore those smaller cities as well – next time we’re in Spain we will make it a point of visiting more off the beaten path destinations. Can’t go wrong with Roman ruins!